In February 2008 the then rather unknown Swiss folk-metal newcomers ELUVEITIE published an album which would later be heralded as one of the most important reasons for the band’s break-through: SLANIA. What ELUVEITIE achieved with that album is not something you could call a phenomena. It’s much more the product of hard, passionate work; the kind of work you put into something you love with all your heart. Even though the band went quickly from being an underground act to being internationally successful, they had to fight their way to the top, shedding blood, sweat and tears! Euphoric reactions, sold-out shows and a newfound respect the world over were the well-earned rewards for their hard work. 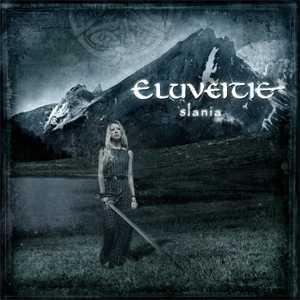 For the band and also for the fans, SLANIA still has a special place in ELUVEITIE's quite remarkable discography. For that reason, the band have announced a very special anniversary-edition of this masterpiece. On November 16th 2018 ELUVEITIE will release SLANIA - 10 Years via Nuclear Blast Records. The latest single "Rebirth" is available worldwide and gives fans an exclusive taster of what to expect from the forthcoming ELUVEITIE album! Order the song, HERE. The official video for the new track was produced by Wolfgang Wolman & Oliver Sommer (AVA Studios) and can be seen on KNAC.COM HERE.